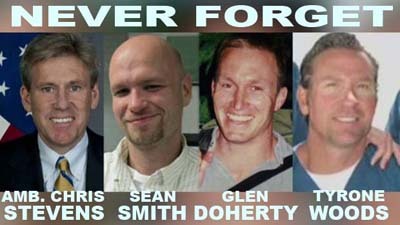 A report from operatives on the ground during the 2012 terror attacks in Behghazi, Libya claims that the top CIA official in the region delayed the rescue attempts that could have saved the lives of the four Americans killed during the attacks, one of whom was our Ambassador to Libya, Christopher Stevens. The reports say that this was a “stand down” order, something that all democrats in Congress and the Obama administration claim was never ordered during the attacks. Fox News’ Bret Baier recently spoke to three security operatives stationed at the secret CIA annex in Benghazi who were involved in the incident. The trio claim that they were ordered not to respond as soon as they could have to save American lives. Americans ultimately killed by terrorists in Benghazi. 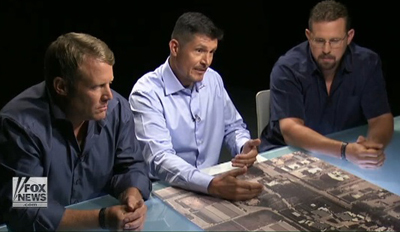 The three private security contractors, Kris “Tanto” Paronto, Mark “Oz” Geist, and John “Tig” Tiegen, spoke at length to the Fox News reporter about their experiences during that terrible day. All three said they were ready to go to Ambassador Stevens’ rescue. The three insist that they were delayed a full 30 minutes from going to the aid of the Americans under siege in Benghazi. Paronto said that if they had been allowed to leave immediately, Stevens and the three other Americans who lost their lives that day would still be alive today. Baier noted that several investigations have claimed that there were no stand down orders given. The three security men also insisted that the Youtube video that President Obama and Hillary Clinton blamed for the attacks that day had nothing whatever to do with the terror attacks.